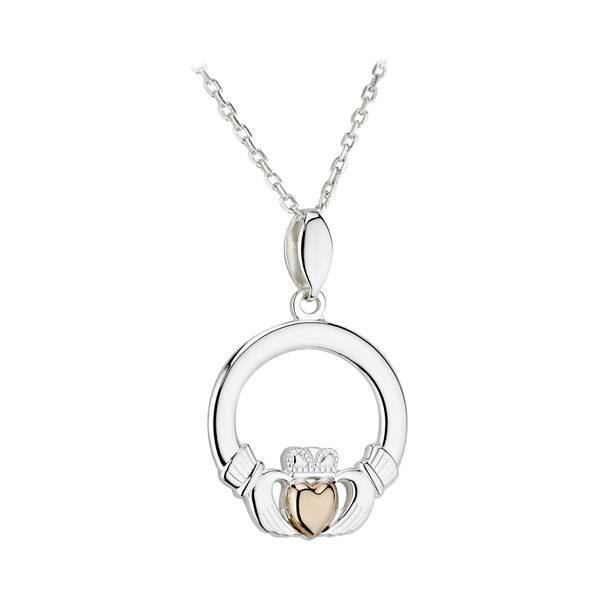 The Claddagh heart is an old Irish symbol representing friendship (the hands), love (the heart), and loyalty (the crown). 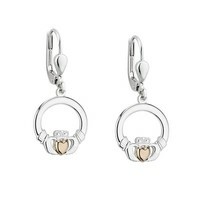 They can be worn as a declaration of Irish heritage, or exchanged to strengthen vows. This Claddagh necklace is made from 10k Gold and Sterling Silver. Solvar Ltd. a family owned Irish company established in 1941 and based in the heart of Dublin, Ireland has evolved to become recognised as a leader in the design and manufacture of Destination and Heritage Jewellery. With over seven decades of tradition and experience in the jewellery business, Solvar has a strong commitment to quality, design & workmanship to the highest standards. At Solvar they pride themselves on being one of the world leaders in the manufacture of ethnic Irish and Celtic jewellery. All Solvar Irish themed jewellery is individually designed, drawing inspiration from Ireland's rich past and unique icons; the Claddagh, Celtic Cross, Shamrock and intricate Celtic Knot work. They carry this same design ethos and market understanding to other destinations and cultures that they serve.